Cruise ships can be expensive places; no sooner have you set sail than you’re forking out cash for anything from Wi-Fi to compulsory tips. But fear not, there are plenty of ways to exercise some cruise cost control. What’s included in your booking? What kind of cruise do you want? There are plenty of options available. Some cruises offer a luxury liner while others focus on the ports visited. There are several websites that can help your research. Visit cruisecritic.co.uk or cruise.co.uk – both review what’s on offer from different cruise companies. All the different cruise regions will have high, shoulder and low seasons at different times of year due to varying weather and sailing conditions. For example, peak season in Alaska is June, July and August, while shoulder season is May and September. However, fewer facilities are open in shoulder season and the weather might be worse. The cheapest time to go to Alaska is low season in October and November, but some attractions will be shut and there will be less choice of cruises. If you have kids, the best way to save money is to pick a cruise route where shoulder or low season coincides with the school holidays. Regular cruisers should consider joining a loyalty scheme if they always stick to the same cruise company. Eligibility, perks and member discounts vary between companies and tiers of membership. For example, Cunard Line has silver, gold, platinum and diamond membership tiers. As members progress through the tiers they receive free internet minutes, cocktail party invitations, preferred reservations in speciality restaurants, savings on laundry, priority check-in, wine tastings and priority luggage delivery. Cruise Critic says that, while cruise brochures offer 'sample' pricing, no one ever pays these prices. Instead, decide on a ship or route you want and then shop around using travel agents or the internet to find the best price. “Wave Season” is the Black Friday of cruises – except that it’s three months long. 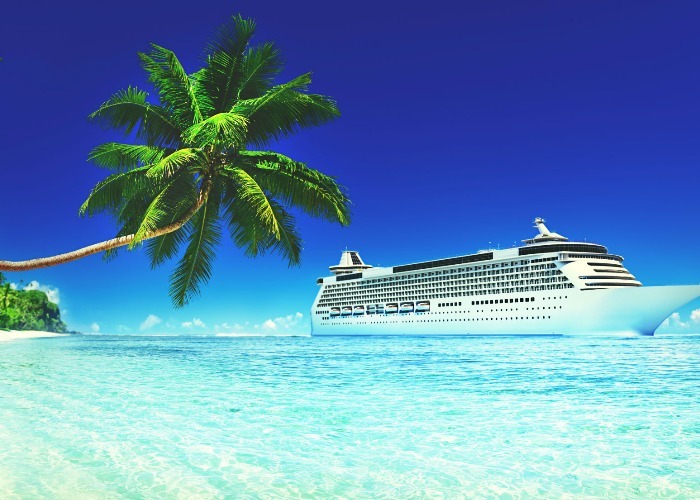 Cruise companies offer their best deals during this aggressive sales period from January to March each year – so that’s the best time to book. Another tactic is to choose a “repositioning cruise”. This is when ships change region for the season and need to get to a new homeport. Routes can be longer and random – but much cheaper. Cruises vary wildly in what’s included. Some include airfares to ports and pre-cruise hotels, while others just include the boat itself. Most will include dining in the buffet or main dining rooms but charge extra for speciality dining and alcohol. Big drinkers can buy a drinks package which offers a flat fee for unlimited drinks of certain types (for example, beers and wine or soft drinks). Check what kind of entertainment is included and whether some amenities – such as the gym – cost extra. If you fancy a cruise to Europe you won’t need to fly – there are about a dozen UK ports from which European cruises leave. Departures from further afield are priced for “cruise only” and “fly and cruise”. For these, check out the cost of buying your own flights and compare it to the inclusive cost. When it comes to cabins, you tend to get what you pay for. Inside cabins without windows are cheapest. Outside or ocean-view cabins have windows, while 'balcony' cabins have an outside verandah. Suites are bigger and the most expensive option. Cruise companies will be keen to fill empty suites and will often try to upsell customers in cheaper cabins as the departure date gets closer. So, a good way to get a cheap suite is book a budget cabin then take a punt on getting a call from the cruise company offering a deal nearer the sail date. Most cruise companies place automatic service charges or tips on passengers' shipboard accounts, or offer the option for prepaid gratuities at booking. Some cruise firms charge a set amount of tips to your room each day and this money is later divided between service staff. In this case, don’t tip the staff again as you’ll be double-tipping. If you want to remove the automatic tips, you can normally arrange it at the guest services desk – although it might not go down very well. Onboard spa treatments can be pricey. But cruise.co.uk says spa addicts can cut the cost by timing treatments when the ship is in port. Treatments are typically cut by up to 20% on docking days. Ships’ gift stores will normally hold a sale on the last day of the cruise so hold off souvenir shopping until you’re about to disembark. Cruise lines offer a variety of shore excursions when they call at a port. They can be convenient with transport to and from the ship, and a guarantee that if the tour runs late the ship will wait for you. But trips booked through your cruise company will also be pricey. Do your own destination research before setting off. Do you really need a tour at all? If you do, check out Viator (Android, iPhone or on the web) which compares tours and activities in hundreds of locations. Phone calls and Wi-Fi on board will be extortionate, even if you buy a package on embarkment day. So either go off-grid for the duration, or try and save your Facebook updates and Tweets until you reach the shore and can use local free Wi-Fi.